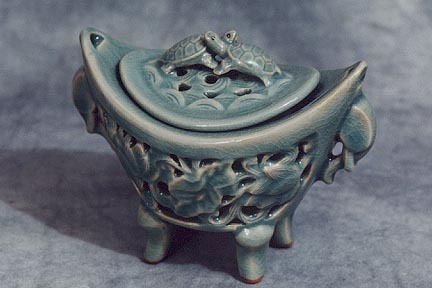 Description: Two turtles decorate the lid of this boat-shaped celadon incense burner while the body is decorated with a molded lotus and open-work design. 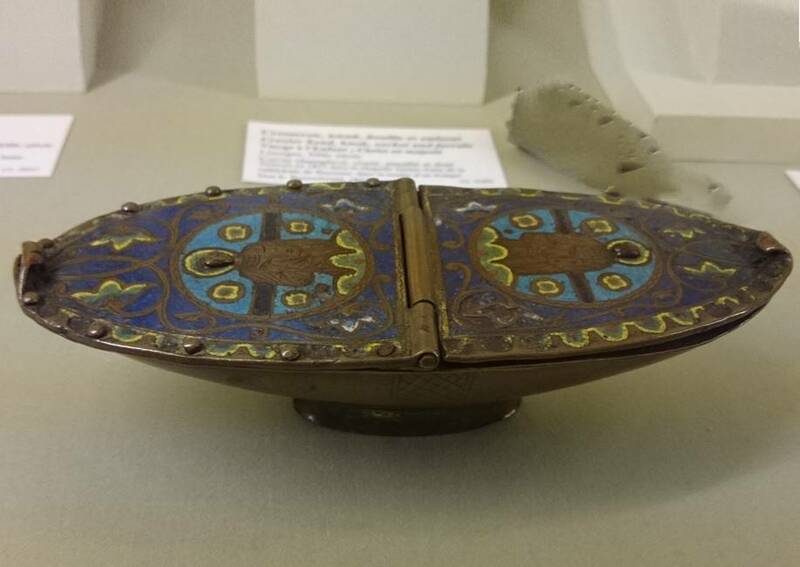 The top is removable for placing incense cones inside. 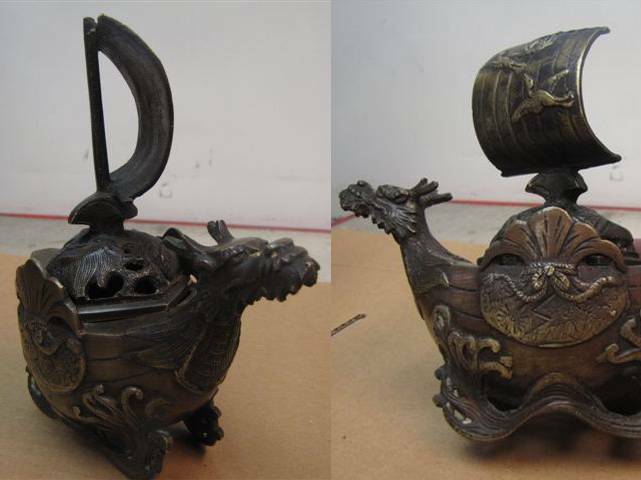 Size: (H)4.5 x (W)6"
Description: Chinese patinated brass incense burner, ca. 1800 in the shape of a boat. 2-part, top lifts off. Cloud motif on sail, simulated ocean waves on bottom. 10" tall x 9" long x 5" wide. 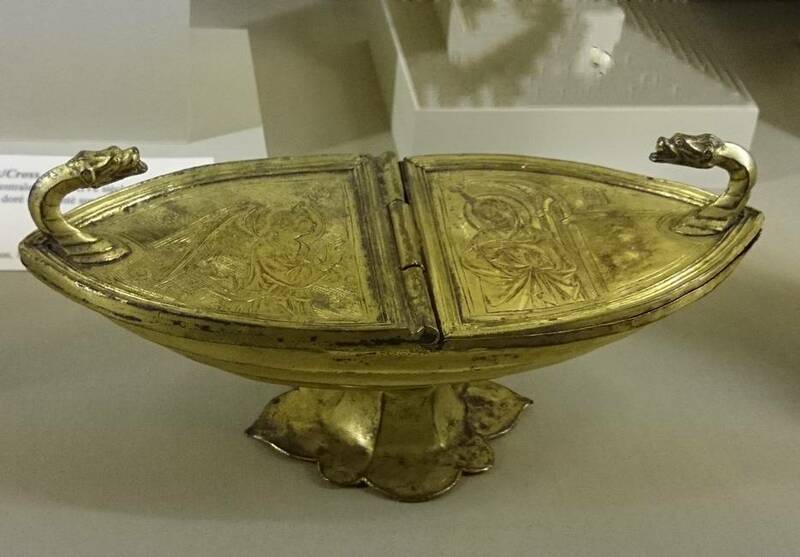 Description: Incense burner made of bronze with real silver adornments. 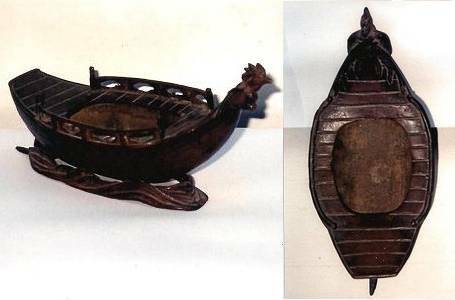 See item #576 for another example of boat shaped asian incense burner. 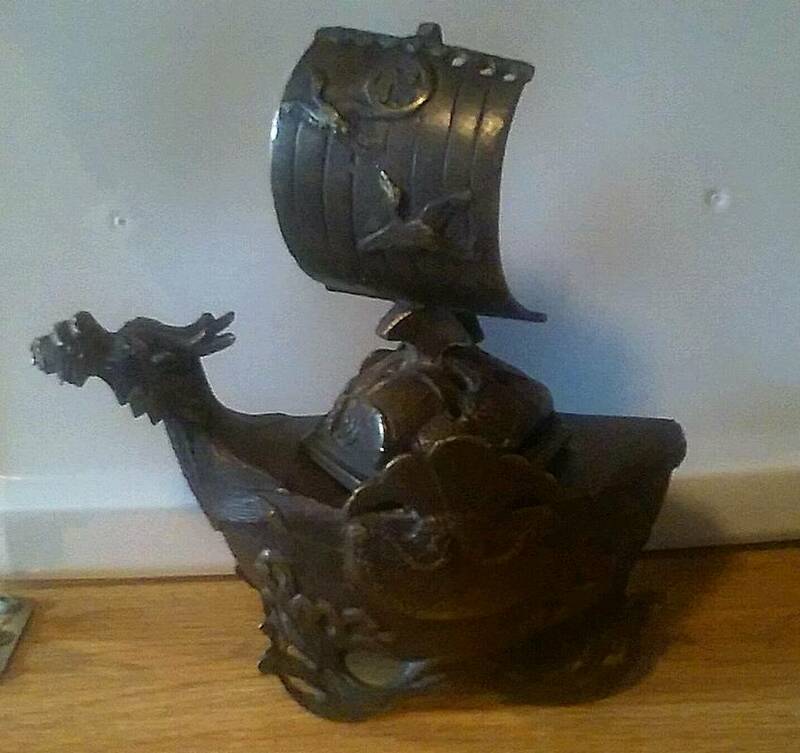 Description: Bronze Incense burner with a chicken on the bow. (10 inches long). 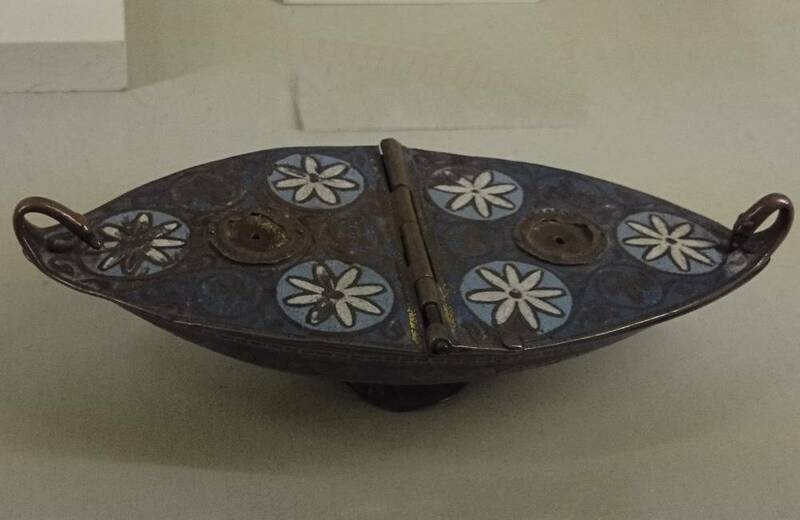 See item #538 for another example of boat shaped asian incense burner. 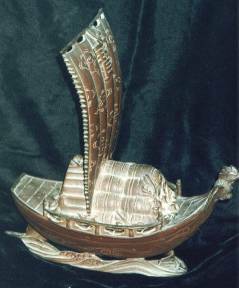 Description: Boat bronze incense burner. The figurehead is a dragon. Is about 15 cm high. Description: Incense bearer, from the cathedral of virgin Mary. 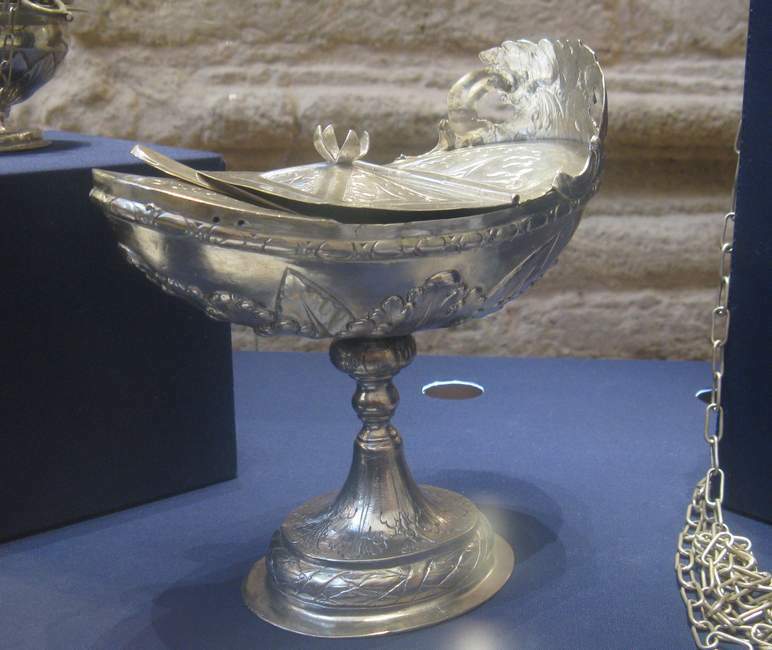 Embossed and chiselled silver. 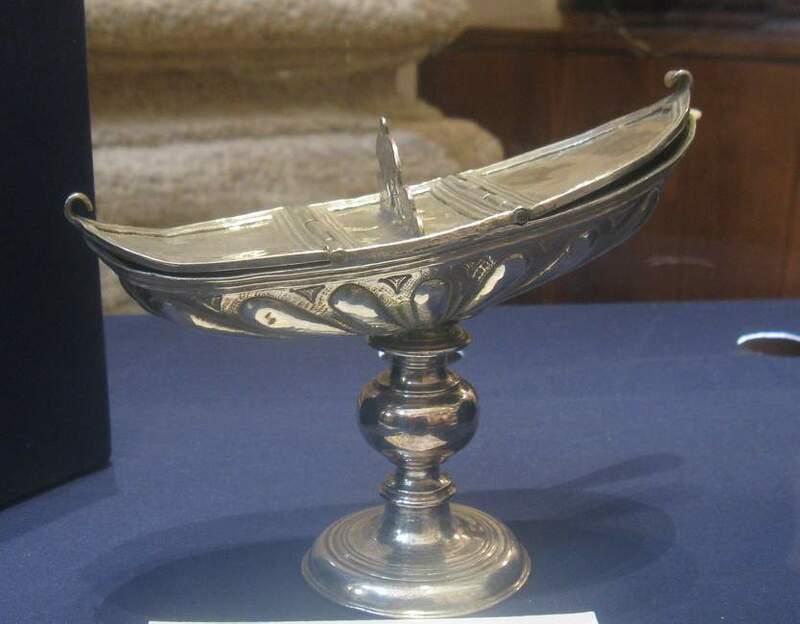 The vessel was used to keep incense before burning in a censer.